Season's Greetings! Chestnuts are roasting on an open fire, Jack Frost is nipping at your nose, and Uncle Jens is in the kitchen preparing his signature dish: the Gold Nugget, a consistently comforting delicacy assembled from whatever ingredients Jens finds in his musical pantry. 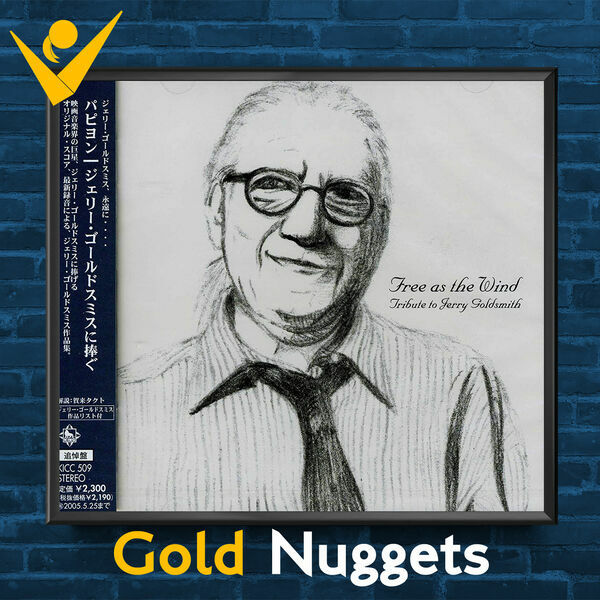 This time, he's exploring the Japan Philharmonic Orchestra's concert disc Free as the Wind: Tribute to Jerry Goldsmith, which offers performances from works like The Sand Pebbles, Chinatown, The Mummy, The Wind and the Lion, Total Recall, and more. While the performances are a decidedly mixed bag, the disc offers a valuable illustration of what separates a good Goldsmith cover from an underwhelming one. Enjoy this little aural dessert, and have a great holiday!